It’s odd that 15 years after the Iraq war there is still discussion about what caused it. Was it the weapons of mass destruction, the oil, neoconservatives, or other factors? Much of that is due to the Bush administration whose stated goals WMD and Iraq’s connection to Al Qaeda both proved to be based upon a house of cards. 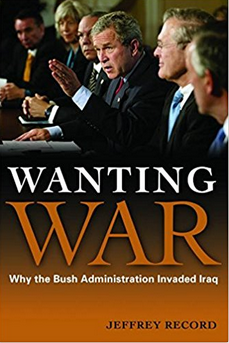 Jeffrey Record’s Wanting War: Why the Bush Administration Invaded Iraq is one of the best attempts to answer the question of why the U.S. invaded Iraq. Rather than having a grand strategy, Record found that there was a confluence of different personalities and ideas within the White House that all converged on Iraq. These were roughly divided into two main camps, neoconservatives that wanted to spread democracy via overthrowing Saddam Hussein and others that wanted to maintain the supremacy of the United States in the world after 9/11. The number of incidents reported in Iraq during the fourth week of March surpassed the yearly mean due to an increase in Islamic State attacks as well as an ongoing operation by Turkey against the Kurdistan Workers’ Party (PKK). Those two factors also resulted in a very high death count for the week. March is shaping up to be the month that IS switched from scattered hit and run attacks after railing from its territorial defeat to when it regrouped and converted back to openly confronting the Iraqi government. It has access to rural areas from Anbar and Ninewa straight across to Diyala, and has targeted local officials and security forces. These are the same tactics it used in its comeback after the Surge. only accept an unconditional withdrawal by U.S.
Iraq and Turkey have been trying to avoid a confrontation over the latter’s threat of a military operation into Ninewa’s Sinjar. As part of that process Prime Minister Haidar al-Abadi and Turkey’s Premier Binali Yildrim had a conversation where they each promised to respect each other’s sovereignty, while in practice neither was doing so. After threats of a false military operation, Turkey’s President Recep Tayyip Erdogan was able to force the Kurdistan Workers Party (PKK) to withdraw its fighters from Sinjar in western Ninewa along the Syrian border. On March 19, President Erdogan said that Turkey would launch a military operation in Sinjar any time to fight the PKK. He made the same threat two days later. That led the Kurdistan Regional Government (KRG) to demand the PKK to pull out of the district to protect civilians from an impending Turkish threat. Then on March 25, Turkey announced that it was intervening in Sinjar. Back in February, Turkey’s Foreign Minister said that it was planning a military operation in Kurdistan to force the PKK out of both the Qandil Mountains and Sinjar. On March 16, Turkish forces moved 15 kilometers into Irbil in the latest attempt to wipe out the Workers’ Party bases in northern Kurdistan. 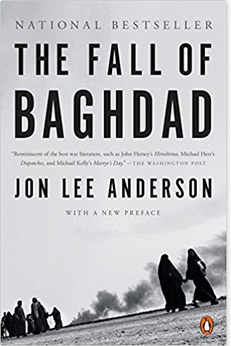 I was interviewed in Iraq In Context on the 15 year anniversary of the Iraq invasion. I was quoted by Paul Iddon for "Can majoritarian governance work in Iraq?" for Rudaw. I was cited in How Mass Atrocities End: Studies from Guatemala, Burundi, Indonesia, the Sudans, Bosnia-Herzegovina, and Iraq by Bridget Conley-Zilkic and Limited Achievements: Obama's Foreign Policy by Z. Laidi. On March 18, Baghdad announced it would pay the salaries of the Kurdistan Regional Government’s (KRG) public workers. It sent 317 billion dinars, $267 million to the KRG’s Finance Ministry. The Kurds responded that they needed 900 billion dinars to pay all their obligations, but 590 billion if it was to cover their employees with their pay cuts that were instituted in 2014 due to the region’s financial crisis. The central government covered 53% of that latter amount, and 35% of the full salaries. According to Iraqi officials this was by design with the Kurds responsible for the other half. Irbil has complained that Baghdad did not provide enough funds, and KRG civil servants have said they only got half their wages. During the third week of March attacks remained within the yearly mean, but casualties were up due to a series of bold attacks by the Islamic State plus a Turkish incursion into northern Irbil against the Kurdistan Workers Party (PKK). There are growing signs that the militants are rebuilding five months after they made the transition from a conventional armed force to a terrorist/insurgent group. 1997 Memo told Iraqi officials to hide material, documents, equipment from U.N.